Whether you chose to have your tax refund by post or online, you can still check the status of your tax refund. The steps involved in checking the status of your tax refund are simple. Be patient and follow the guidelines to determine when you can expect to get the refund. If you e-filed your tax return and requested for tax to be refunded straight into your bank account, the IRS says that you should receive it within three weeks time. So what do you do to track down your tax return when these deadlines have passed? Firstly, you will need some information about the tax refund you have claimed. Get your social security or individual tax payer ID number from the tax refund form. This is usually located on the very first page. Next, determine the processing status. Lastly, find the actual refund amount you are eligible for. Next, decide if you want to check your tax refund status online or over the phone. 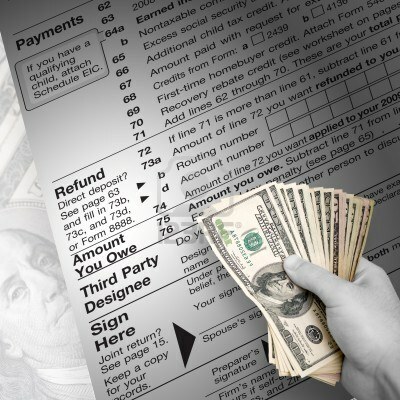 If you would like to look at the IRS webpage and choose "Where's My Refund?" - you will see a link in the Sources area at the end of the page. If you would like to speak to one of the customer services members at the IRS office, consider contacting the IRS assistance hotline. This hotline usually operates between Monday and Friday from 9AM to 10PM. If you have decided to check the status of your tax refund online, it is recommended to simply get the details already mentioned in step 1. Fill the empty fields with appropriate information and click the submit button at the end of the page. If the application is unable to locate your return details, it will ask you for some more details such as your full name ID number or the date when you sent your tax refund application by email or post. If the program still cannot verify your information, it provides you with a contact phone number to give the support and assistance required. If you have made the decision to check the status of your tax refund, tell the CSR the situation you are in and why you want to know the status of your tax return. They will enter your details into their database and forward your query to the appropriate department.